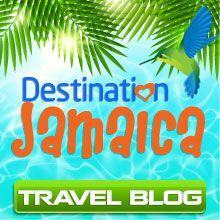 The tropical holiday island of Jamaica is one of the best places you can think of for a vacation. The friendly, party loving people of the island know how to have fun and there’s a lot on the island to see. One of the best places to visit on the island are the Somerset Falls. Located in the middle of a lush green tropical forest, Jamaica’s Somerset falls are one of the prettiest in the world. The colors of the trees and the birds that perch on them that never fail to leave travelers amazed at the sight. made locally out of bamboo, giving you an authentic Jamaican vibe as you look out at the scenery along the river and take in the sounds. You can hire a guide to tell you what you are looking at as you ferry about the river. They are well informed about the birds, plants, famous events that happened around each bend of the river and much more. There are so many wonderful spots along the river where you can sit down and enjoy the tranquility. There are picnic spots and places where you can pick up your notebook or journal and record your thoughts on Jamaica’s beauty. You can read a book and even meditate on the cool ground. The falls are a quiet place and are not usually as crowded as Dunn’s river falls and the YS falls. One of the biggest attractions at the Somerset falls in Jamaica are the hidden falls. Adjacent to the Somerset falls, the hidden falls fall into a little cave like grotto that you can enter and swim inside. You can take a boat ride into the cave, which has enough light to see in, but little enough light to keep the cave aesthetics. Inside the cave are curious limestone formations that you can spend a long time looking at. Next to the falls area, there is a pretty large bar that creates the setting for some of the famous nightlife of the Caribbean. 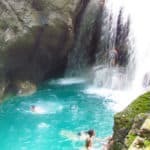 The falls are normally less crowded than some of the other waterfalls and tourist attractions in Jamaica, but they are no less of a party destination. There is a dance floor and all the infrastructure needed to throw a party of the Caribbean. I read this article and found it very interesting, thought it might be something for you. The article is called The Ideal Getaway for Offbeat Travelers and is located at https://jamaicaquesttours.com/the-ideal-getaway-offbeat-travelers/.